We don’t want to cause any mass panic, but the sun is about to enter its dormant phase, or the Solar Minimum, (who knew!?) and as a result, the Northern Lights will be less bright and more infrequent for the next decade. Okay, so we’re panicking just a little bit and clearly we’re not the only ones: AirBnb has seen bookings increase by up to 900% year on year in places where you’re likely to get a glimpse of those famous green dancing lights. Here are a few of the best places to head to ASAP, if you want to see them before they dim down – that’s what credit cards are for, right? This archipelago of over 250 tiny grassy low-lying islands has a totally otherworldly and remote feel. You’ll need to take a public boat from Bodø to get there but the trip is without a doubt worth it. Every year from September, the nights out here get longer, and the Northern Lights get brighter, and this archipelago is THE place to go to see them without having to jostle with crowds, as only a handful of locals live there. Plus, there’s next to no light pollution so you’re set for a firecracker of a show. This Instagram-worthy resort, The Arctic Hideaway, with its angular timberlines, huge windows and cozy interiors, is the perfect spot to watch them. We’d recommend booking the Tower Room for the best views in the house. Seriously, do it now. In Finland, you can spot the Northern Lights on roughly 200 nights a year, and your chances increase the more North you go. 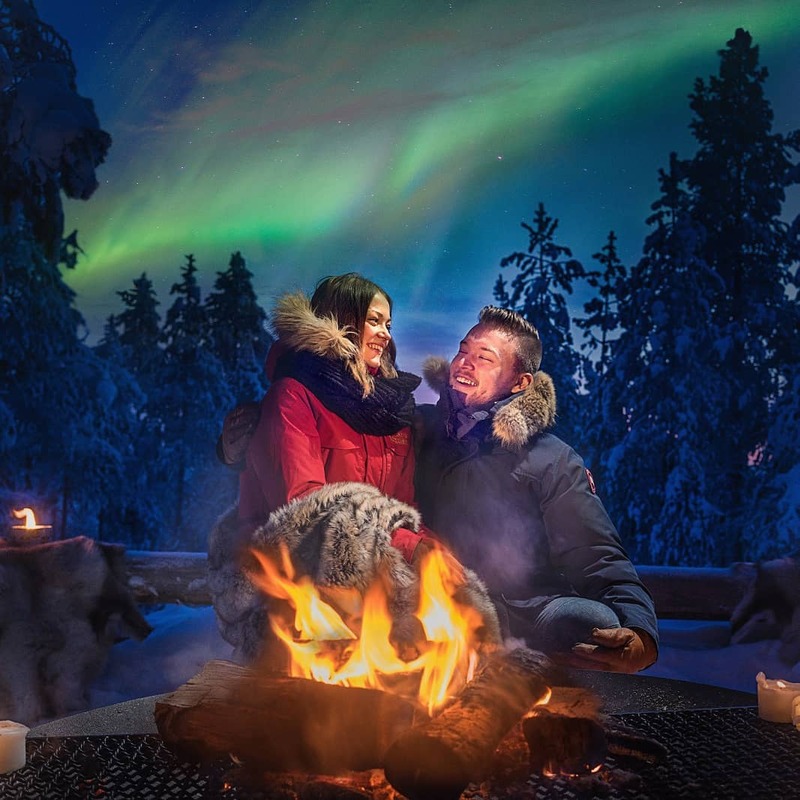 Finnish Lapland is a particularly great option, especially if you are still not quite ready to say goodbye to the holiday spirit yet and fancy spending time in ‘Official Hometown of Santa Claus.’ If you’re up for braving the crisp winter air, snowshoeing, cross-country skiing or snowmobile and sled dog touring are great ways to see the Aurora. Cute dogs? YES PLEASE. 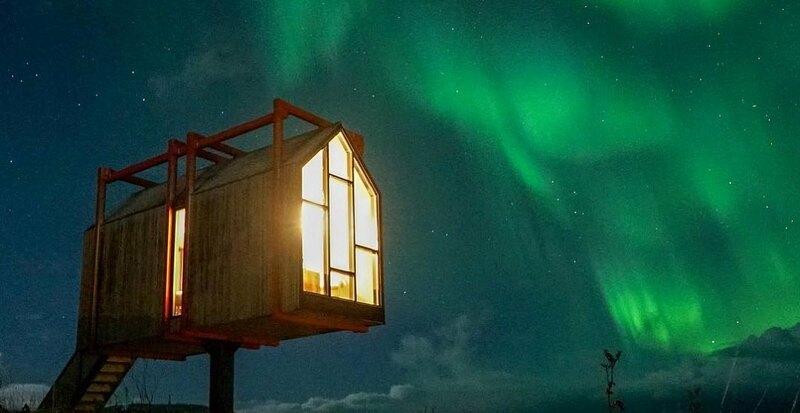 The Arctic Treehouse Hotel offers meticulously designed accommodation with panoramic views of the forest and Arctic skies — aka the perfect place to warm up. In the Yukon, the Northern Lights can appear as soon as dark night skies begin to return all the way through to April – so you might even be able to get away without wrapping up like a snowman to see them. If you do head there earlier, be sure to book in for a dog sledding experience, where you might even be lucky enough to warm your cockles by a crackling fire as the spellbinding swathes of colour shimmer across the skies. 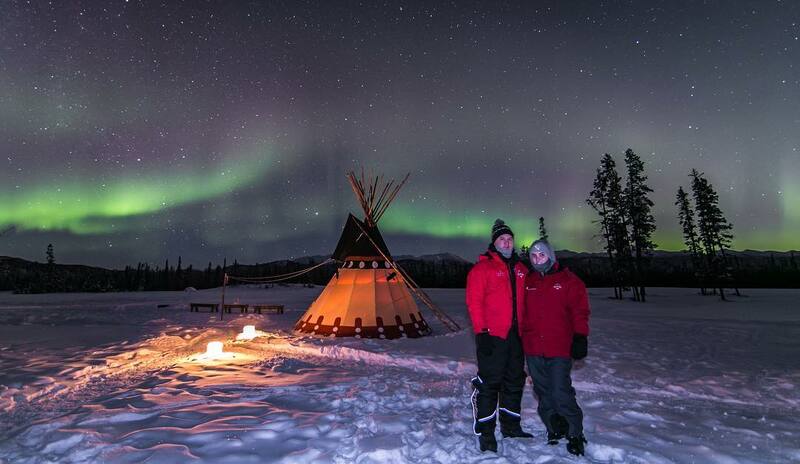 The aptly named Northern Lights Resort & Spa, in the Yukon River Valley, close to “the wilderness city” of Whitehorse is still miles away from the hustle and bustle of city life. If you’re looking for panoramic views of the open countryside, idyllic pine forests with a backdrop of mountains in the distance, this is the spot for you. You’ll never want to leave the peace and quiet. Fogo & the Change Island lie to the North of Newfoundland and each have their own distinct personalities. Fogo has become a haven for artists from around the world, who come to work in incredible, inspiring modern studios, while the Change Islands are home to a distinct part of the province’s heritage – the noble (and super ‘grammable) Newfoundland pony. 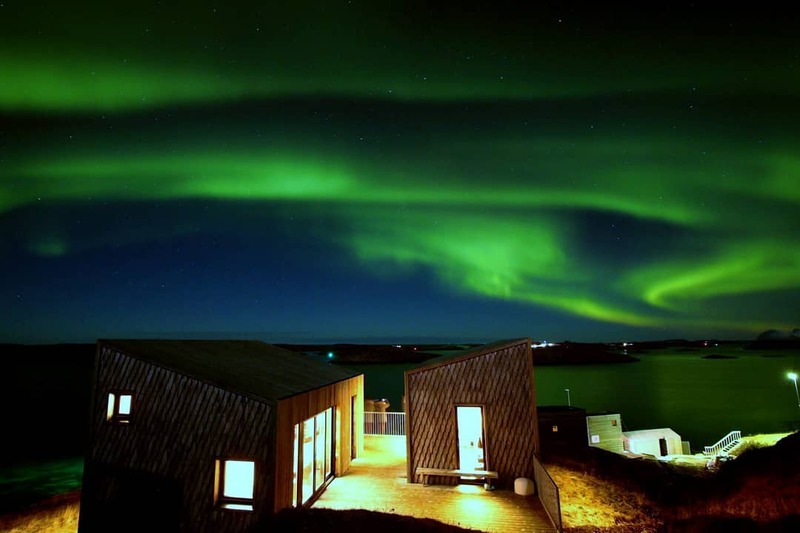 If the weather doesn’t keep you away, the island’s rugged landscape makes for an epic backdrop to see the Auroras. 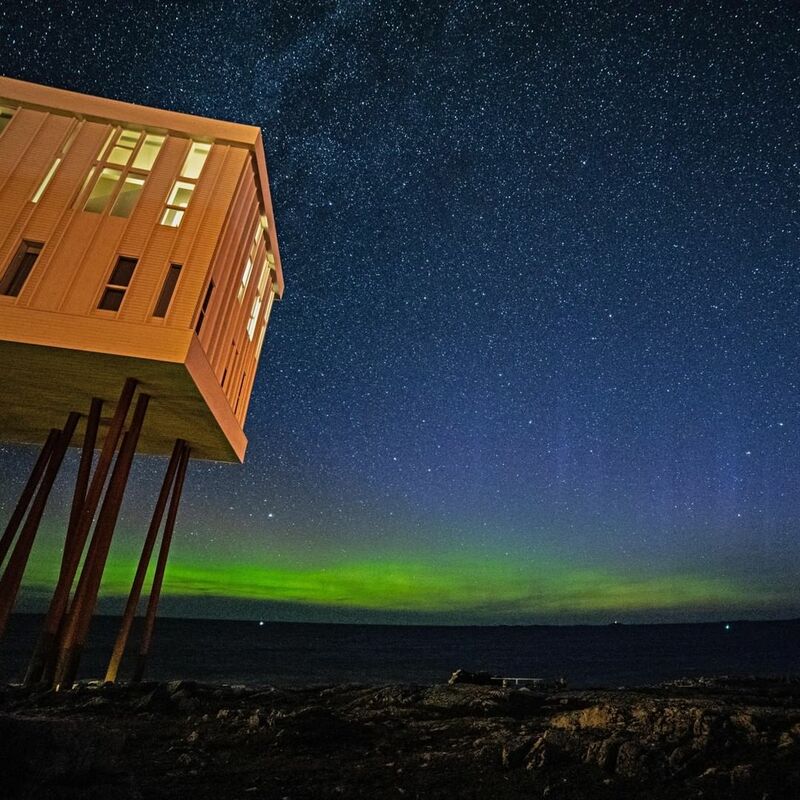 The famous 29 bedroom Fogo Island Inn, designed by Norwegian architect Todd Saunders, sits on stilts right on the coast of the island, with wide open views over the ocean. It books out months in advance so you have to hope they’ve had a last minute cancellation! Iceland has seen a surge in popularity in recent years and its dramatic frozen landscapes, icy waterfalls, glaciers, stormy skies and hot springs have made it a world-famous winter destination, not to mention the super cute wild horses that roam freely (we have a thing for horses, okay?). The Thingvellir National Park is less than an hour’s drive from the hustle and bustle of Reykjavík and there are plenty of opportunities to see the Northern Lights, whether on a challenging glacier trek or soaking in the thermal waters. 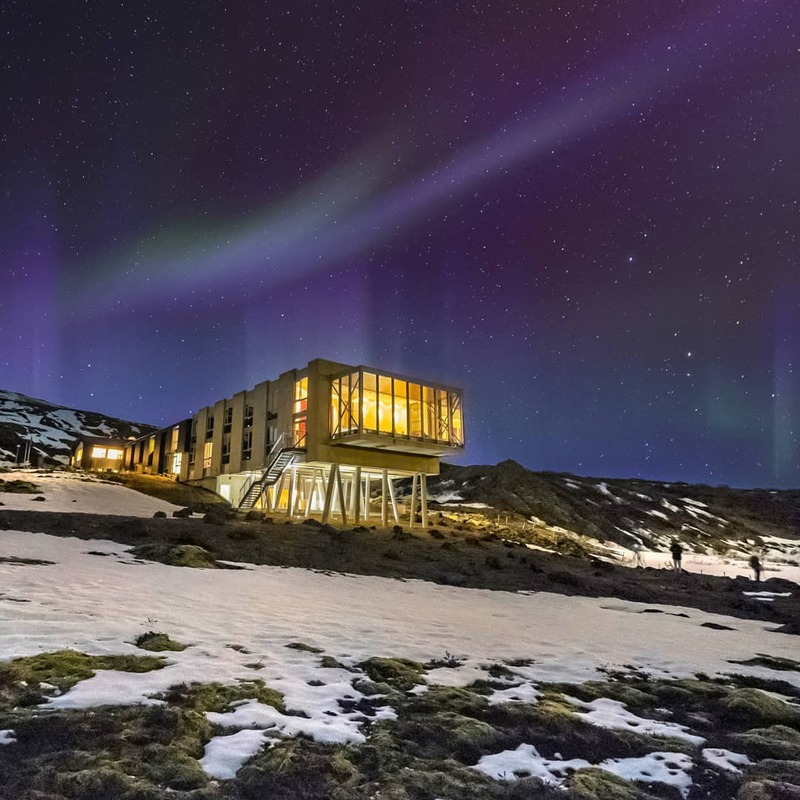 Hotel Ion, located just outside the park is home to an award-winning bar, Lava Spa and has the kind of views out to the majestic mountainous lava fields that leave you reeling. Northern Scotland actually lies on the same latitude as Alaska, which means you’re in with a good chance of spotting the ‘Mirrie Dancers’ (say it out loud, you’ll feel like a real Scot, we promise). The Isle of Skye with its Jurassic landscapes and dramatic waters, is an excellent place to get away from it all, far from people (and signal). 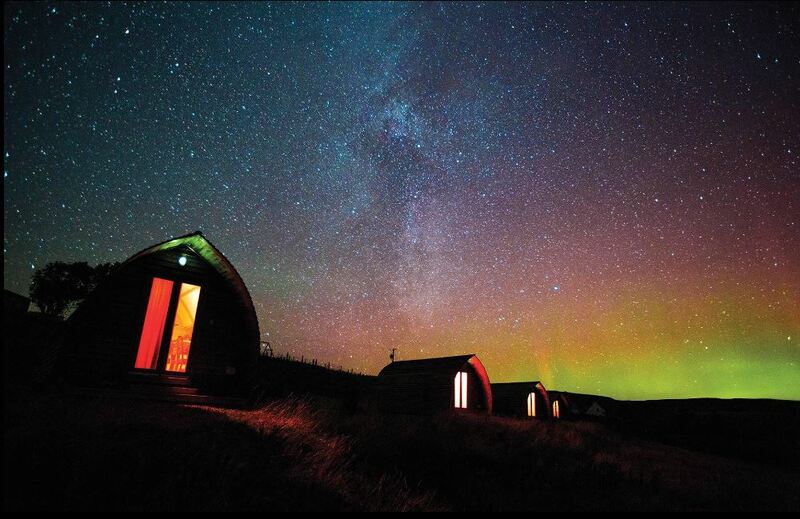 The Shulista Croft Wigwams are part of a working croft, and are situated at the very north of the island the stunning Trotternish Peninsula. They are even home to two Cheviot ewes, two rams, and thirteen chickens, which all roam the fields around the croft house – a proper rural experience if we ever heard of one.